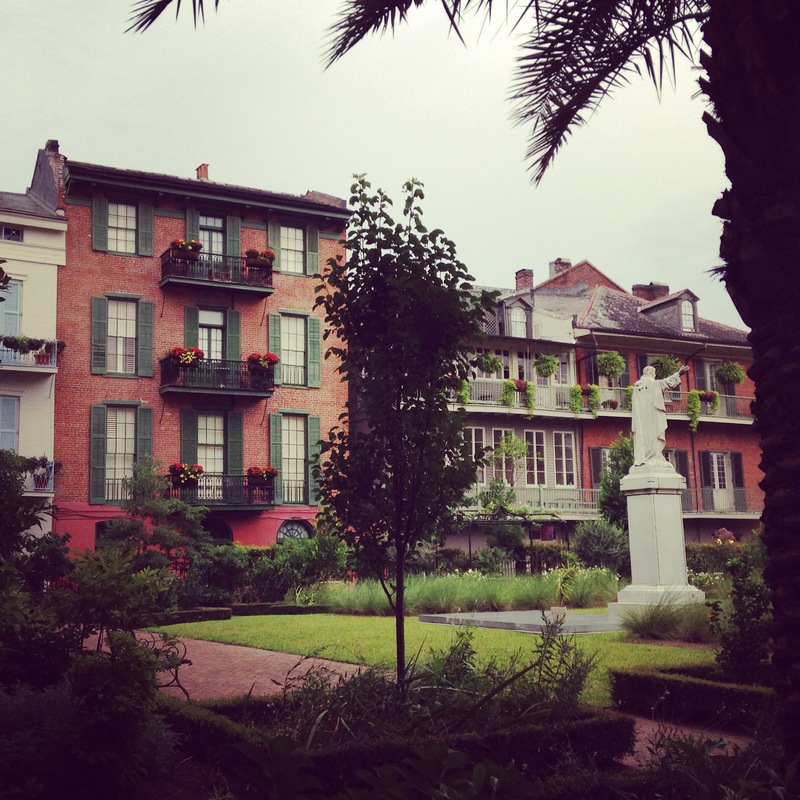 St Anthony’s Garden sits behind the St Louis Cathedral and, although it is fenced off today, was once a popular duelling ground for the French, Spanish and America inhabitants of the city. Duelling in New Orleans was a custom introduced from Europe and, in the early days at least, did not often result in the death of either party involved. Commonly duels were fought over ladies, specifically when two men were vying for the attention of one woman, as was common at Quadroon Balls. In other instances they were fought when someone felt that insult had been bought against their character or family name. As one might imagine, a garden behind a church was a handy place to find oneself during a duel, especially if severe injury did take place, as it wasn’t much of a journey for the Parish Priest to make in order to give the last rites. More often than not however, duelling involved swords or fists and the winner was whichever party drew first blood, so death was not common. It was not until New Orleans became an American territory that pistols became involved in the duelling practice and (understandably) the occurrence of death increased. In the modern era, a tall fence keeps tourists and vagrants out of the garden, although some cleaver manoeuvring with the camera allows for picture taking to still be possible. In addition to the gorgeous grounds and statues, the buildings on either side have been beautifully restored and as such, the area retains a peaceful, quiet feel. Looking at the work that has already gone into the restoration of the grounds, and owing to the fact that there are almost certainly people buried here, the decision to fence off the garden and maintain it makes sense. 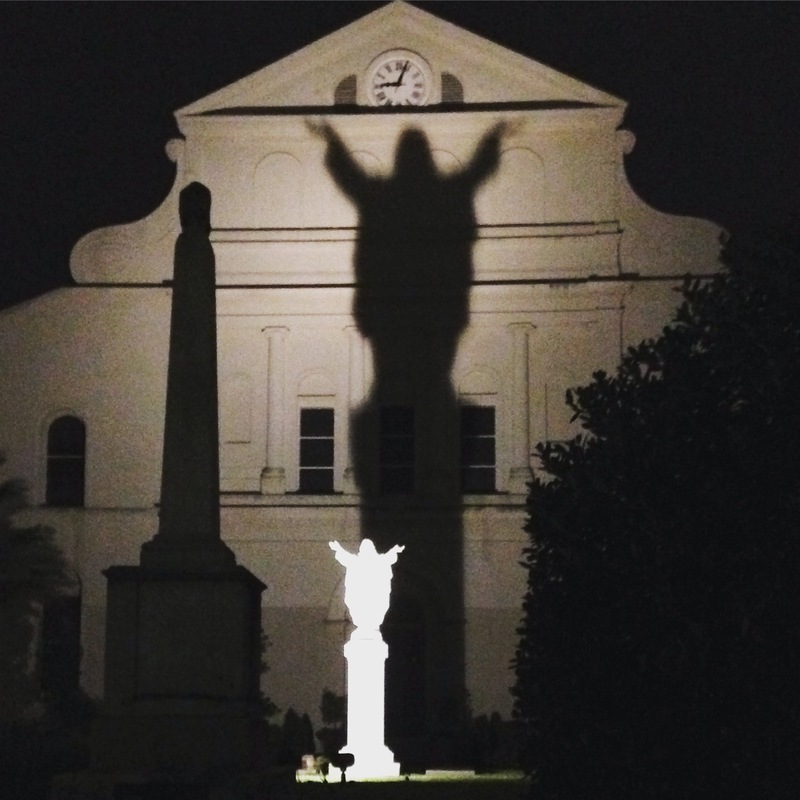 The locals affectionately refer to the Jesus statue that sits in the centre of St Anthony’s as ‘Touchdown Jesus.’ In the daylight hours, it might not be evident as to why he has gained this nickname – but after the sun goes down and the spot lights come on, it becomes painfully clear. 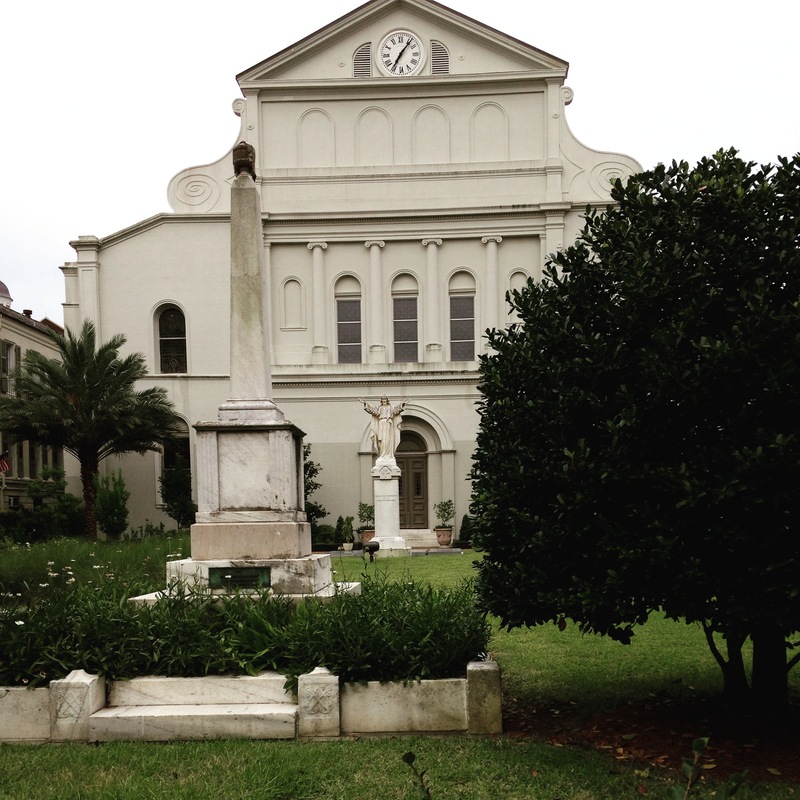 During Hurricane Katrina, the force of the storm destroyed on of Jesus hands, which is not immediately evident in the photos, but which the locals and the church have declined to fix, instead leaving the dis-figuration there as a memory of the devastation of the event.